The new edition includes updated information on memory systems, especially the changes in working memory capacity; new research findings on how the explosion of technology may be affecting the brain; new information on brain organization and learning, and revised sections on hemispheric specialization; new research on how learning the arts enhances cognitive processing and creativity; an expanded Resources section that includes more Internet sites selected for their reliable information on the brain; and more than 150 new or updated references, most of which are primary sources for those who wish to explore the actual research studies. This book opens the door to educational neuroscience in the hopes that educators will experience the joy of seeing more students reach their full potential. 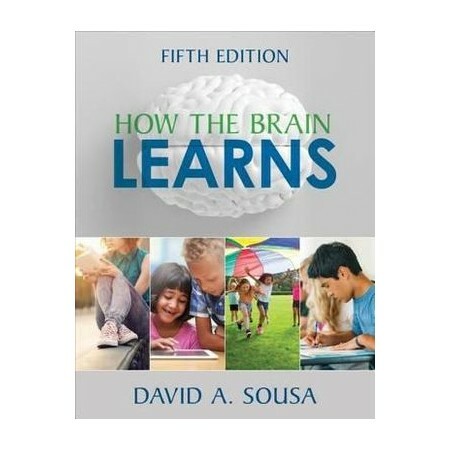 David A. Sousa, EdD, an international consultant in educational neuroscience, has written 16 books for educators and parents on ways of using brain research to improve teaching and learning. He has conducted workshops for more than two hundred thousand educators in hundreds of school districts on brain research and science education at the pre-K to Grade 12 and university levels. He has presented at national conventions of educational organizations and to regional and local school districts across the United States, Canada, Europe, Australia, New Zealand, and Asia. Dr. Sousa has a bachelor of science degree in chemistry from Bridgewater (Massachusetts) State University, a master of arts degree in teaching science from Harvard University, and a doctorate from Rutgers University. His teaching experience covers all levels. He has taught high school science and has served as a K-12 director of science, a supervisor of instruction, and a district superintendent in New Jersey schools. He has been an adjunct professor of education at Seton Hall University and at Rutgers University. A past president of the National Staff Development Council (now called Learning Forward), Dr. Sousa has edited science books and published numerous articles in leading educational journals on staff development, science education, and brain research. He has received awards from professional associations, school districts, and Bridgewater State University (Distinguished Alumni Award), and several honorary doctorates for his commitment and contributions to research, staff development, and science education. He has been interviewed on the NBC Today show and on National Public Radio about his work with schools using brain research. He makes his home in south Florida.